It's October, it's October! I love fall and October is my favorite month of the year. Cooler temps, changing leaves and pumpkins everywhere. I love it. 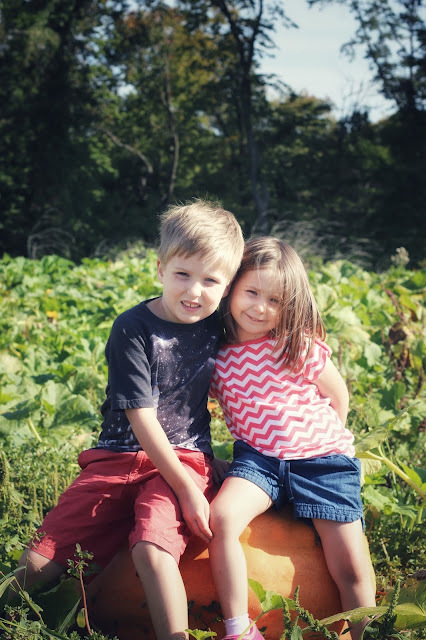 We go to the same local pumpkin patch every year, but this year we decided to do it differently. Since Alan's extended family hasn't seen Cameron yet, we made a trip to Louisville for the weekend and then stopped at Huber Orchard and Winery on the way home. 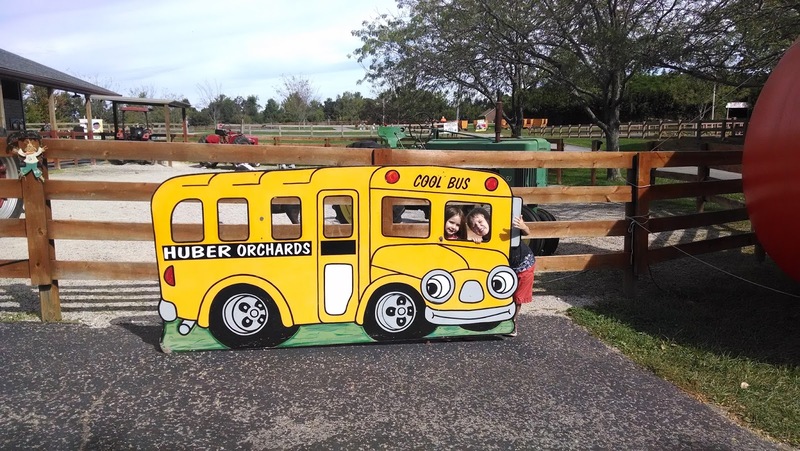 It's a huge place with a farm market, orchards, pumpkin patch, winery, distillery and kids area. Almost every time we go to Louisville we say that we should go sometime, so this year we made it happen. The kids had a blast in the family fun park, riding pedal cars, going down the giant slide, playing on the playground, jumping on the bouncy things and more. They had a corn maze, bamboo maze and flag maze, but we didn't do any of them since we're planning on going to a local Halloween event at the end of the month with a corn maze right down the road from our house (It's something we look forward to every year and I cannot wait!). That, and Alan's foot was really sore since he's healing from a fracture a few weeks ago. October is one of the busiest months of the year for us, with two birthdays and our wedding anniversary all in the same week. But, I absolutely love this time of year. The temps here finally fell out of the 90's last week and it's so nice now. We have a lot of stuff planned this month that I hopefully will get a chance to share. Yay October!